All Petal and Thread bridal bouquets are comprised of flowers handcrafted by me, in my home. 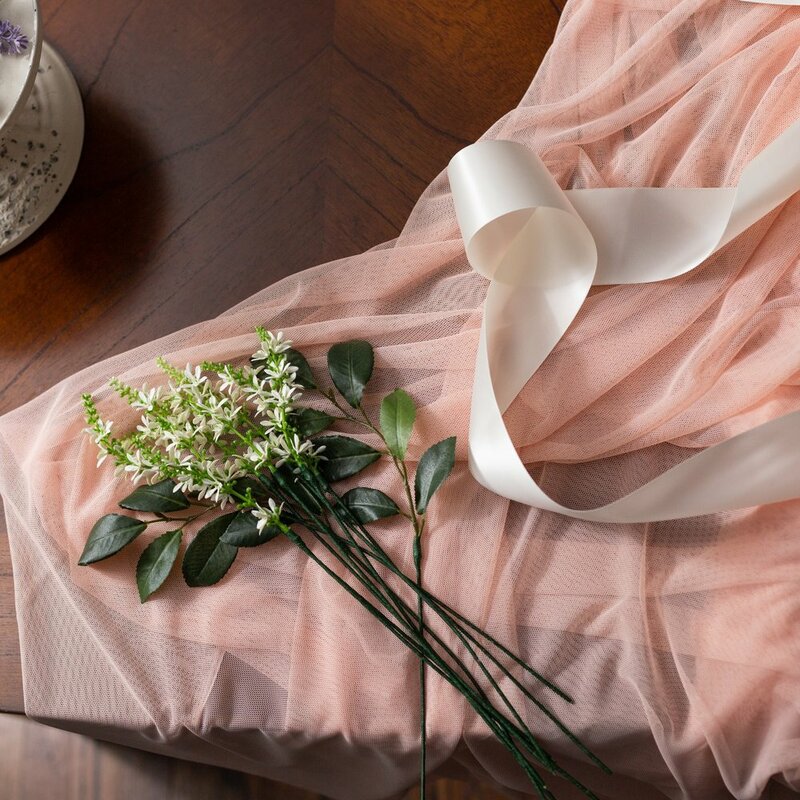 Using specialty fabric, ribbon and lace, each flower is cut, stitched, and stemmed by hand. Every Petal and Thread arrangement is uniquely handcrafted. Each bouquet has it’s own personality, and like real flowers, no two are ever quite the same. 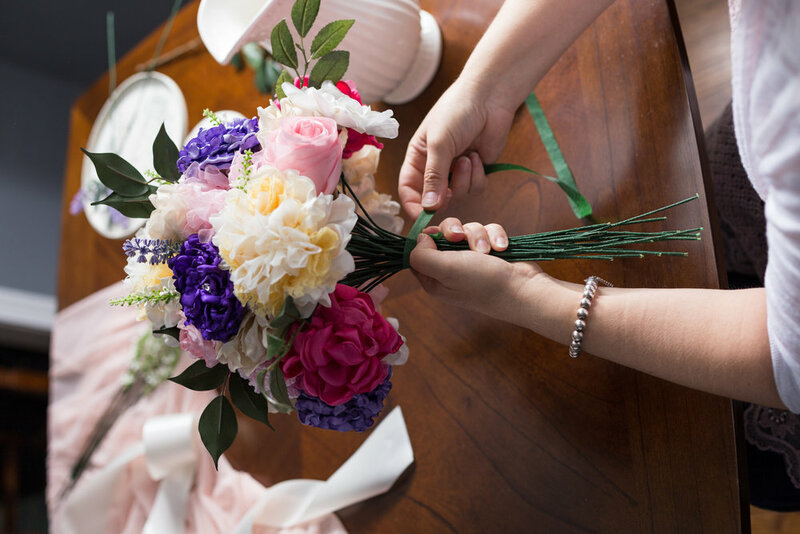 A Petal and Thread bouquet doesn’t just last for your wedding, it’s a keepsake you’ll enjoy the rest of your life. Display it in your home or save it to pass down to someone special in the future. All arrangements come with a sturdy, decorative box. Petal and Thread bridal bouquets are born of my heart as well as my hands. I begin by carefully planning out just the right color and texture combination for each flower before moving on to cutting, stitching and construction. 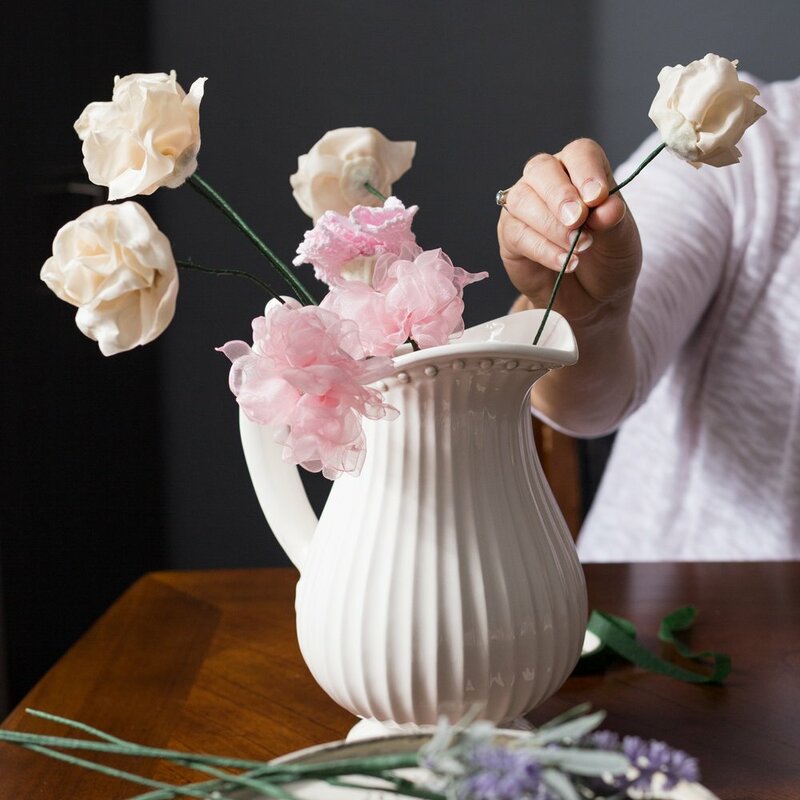 Once the flowers are completed, careful consideration is given to ensure they are placed together in the most pleasing arrangement. Next, for added stability, all of the stems are carefully wrapped together in floral tape before the final ribbon and bow are attached.